NATURAL EQUINE Indiana Equine Sports Massage located in Indiana, just a few hours from NE Indiana, Central Indiana, SW Indiana, parts of OHio and KY! 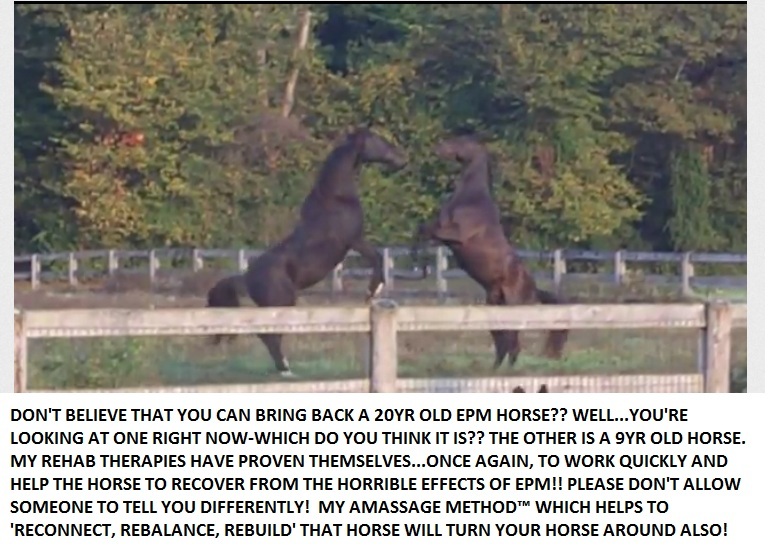 Using The Amassage Method™ We offer Complete Body Balancing for the Equine and Canine developed right here on my farm! We must be Detectives to find what caused the problem in the first place-is it a bad saddle fit, or just where the saddle is placed? Is this an injury, or something the horse is causing himself? Is it a rider problem? Below-Pretty Girl-hit by a car, and only the owner and I believed she could be saved…called in my vet and he agreed to try and help-he was amazed when he came out to do the last adjustment (#3) and she looked as good as she did. Strider had to have groundwork to build the left hind after years of now using it. The owner did alot of the groundwork herself while I did massages on him. 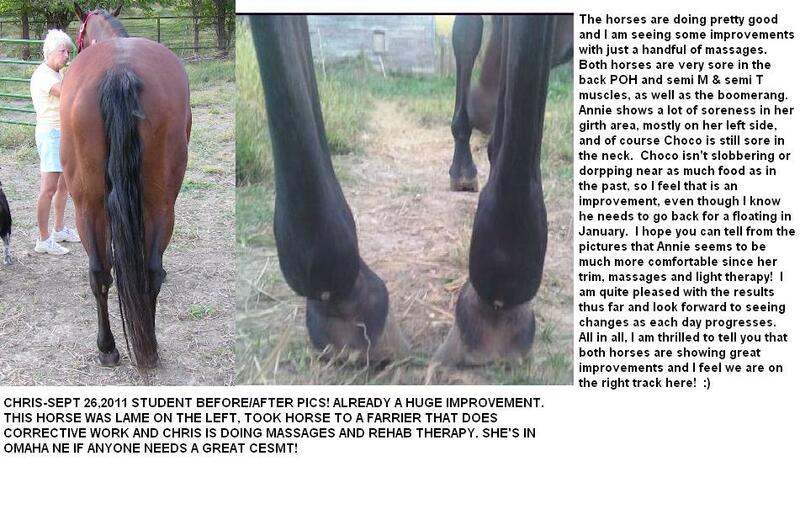 If your horse is in need of a chiropractic adjustment, I have 2 great Veterinarians that I use at additional cost. 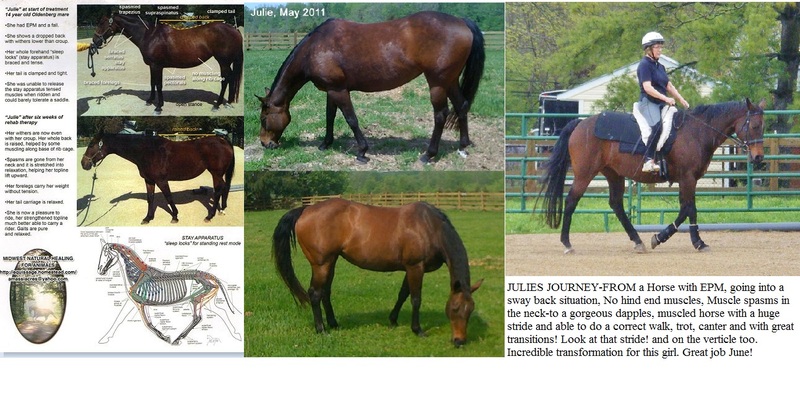 I have not taken in a horse that I could not ReBuild-if you have a horse that needs this type of rehab please contact me. AND SOME OF MY STUDENTS REHABS! 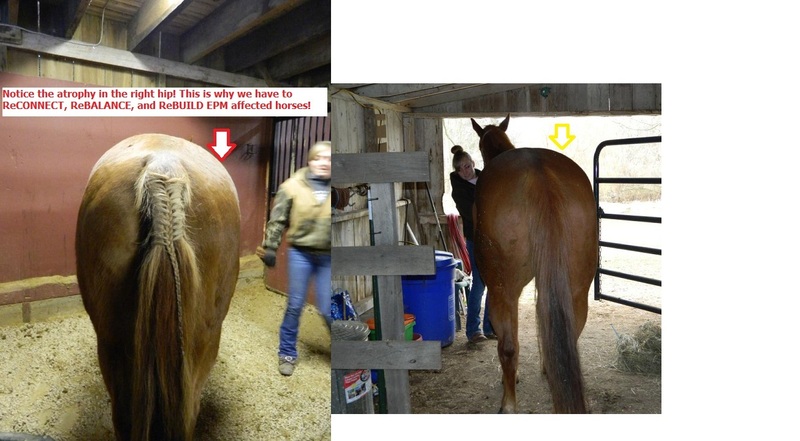 There actually wasn’t a whole lot wrong with this horse that groceries, good farrier work, and correct riding/groundwork couldn’t fix! Yet the owner was going to put her down. Much improvement in Sugar Bear! THIS HORSE IS BACK TO CONTESTING/BARRELS/POLES AND DOING GREAT!